"This hygrophobic short sleeve, T-shirt is designed for the keen mountaineer and built for mountaineering. Expert Series. 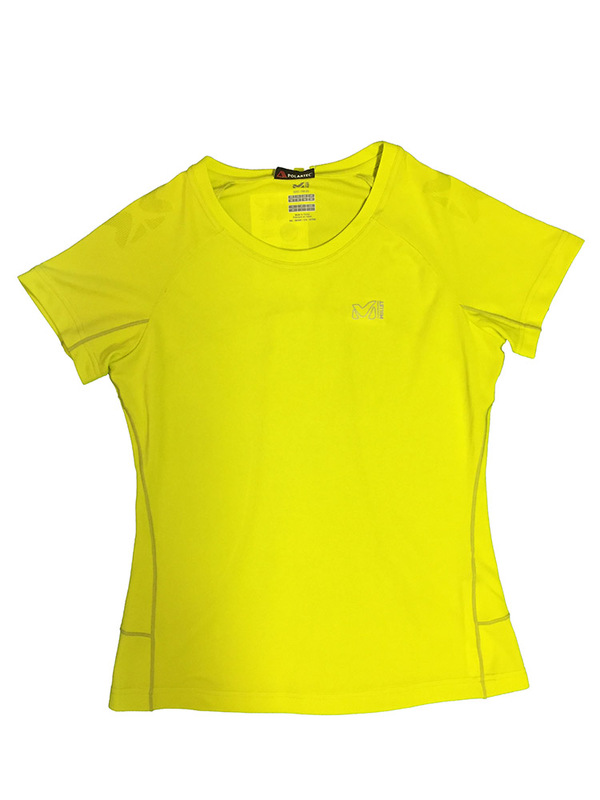 The Sunny Alpi short sleeve T-shirt provides high moisture-wicking performance, functionality and colour for alpine sports.The Alpine Fit is close to the body to enhance energy efficiency without restricting movement. The Polartec Power Dry High Efficiency fabric has outstanding breathability properties. Designed to keep you dry, even when you sweat, it dries quickly and features a POLYGIENE anti-odour technology (BLUESIGN certified) to restrict bacterial development. The fabric is treated with Quickdry and Anti-UV for good moisture management and sun protection. Printed silicone at shoulders provides protection at this high stress area, making the Sunny Alpi ideal to wear for high levels of exertion and long climbing routes, treks and outdoor adventures.